Email: We reserve the rights to send emails to those who signed up on our website or posted any query. We will never spam you. If you are interested in not receiving any email from us, you can always unsubscribe us. All the emails are sent by our company and we don’t share your personal details with third party sites. You may unsubscribe to any of our online e-mail updates by following the unsubscribe instructions in the body of any e-mail message. We will take commercially reasonable steps to implement your opt-out requests promptly; but you may still receive promotional information from us for up to 21 days. Disclosure By Law. With this you agree that we can reveal any information you provide if it is required by law, or the third party request. Also, if we believe that the revealing is in consideration to (1) according to law, any possible orders or requests from the law enforcement or any process that is legal; (2) the protection or defending of any third party’s or McCarthy’s Irish Pub, Inc. property or rights; or (3) in case of protecting anyone’s safety, when any kind if violence is used against anyone including you. Disclosure to Protect Abuse Victims. We have the right, but hold no obligation, to disclose any information or content that you submitted to the Services if in our opinion, we have suspicions that such information in any case violates a third party in any form of abuse. Abuse includes the following: elder and child abuse, spousal abuse, any form of neglect or domestic violence. This information shall be revealed to authorities that are suitable with dealing with such problems. These authorities may include without limitation agencies for child protection, law enforcement agencies or even court officials. You agree and understand that we are allowed to make this kind of disclosure. You have the full rights to update/modify your personal information attached to your account. 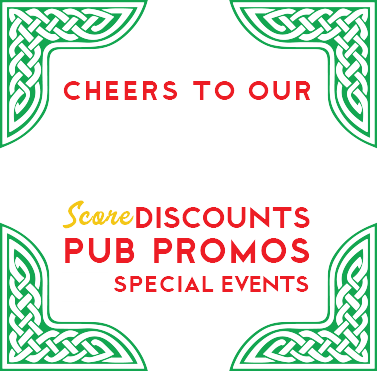 You can send us an email to info@redstagpub.com. You even hold the right to inform us not to use your information for any of our advertising or marketing purposes. Love our bread? We’ve developed our own fool-proof mix — not only for Brown Bread, but Soda Bread, Shortbread and also several of our scones. In our 20 years of existence, we have developed many great concepts based on traditional ideas, such as out Eggs Paddywac and The Punjab Paddy. These two breakfast dishes, which incorporate the Northern Ireland Potato Farl (in Scotland it’s a Potato or Tatty Scone), are variations on Eggs Benedict (we even offer a vegetarian version). 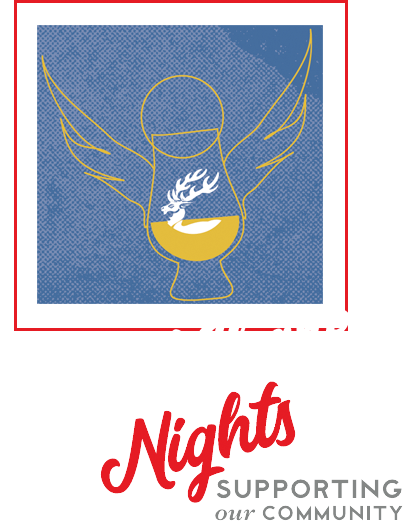 We offer our own Jamison Whiskey BarBQ sauce, and a Guinness Mustard Sauce, both of which are incredible on Chicken Wings or Chips (french fries, the Irish way). We were required (naturally!) 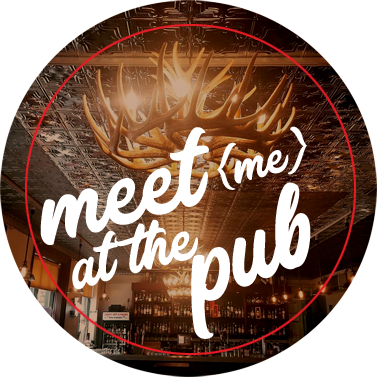 as an authentic Irish Pub to serve amazing Fish n’ Chips with a made-fresh Smithwicks’ Beer Batter, Bangers and Mash with our homemade onion gravy, and Cottage Pie (Shepherd’s Pie, made with beef). Since my mother’s family loved to bake, I grew up with fabulous home cooking, and especially great desserts. All of our breads and desserts are made onsite, and we use our knowledge of authentic Irish and British Isles Cuisine to develop new dishes and drinks on an ongoing basis. Our amazing selection of teas infuse our Creme Brulees and truffles. Pair anything with coffee from a french press —just as you could get it in Ireland. The key to our cuisine is that it’s almost completely made from scratch and it’s a unique spin on the nouveau Irish/British Isles style (which has transformed itself completely in the past 20 years). 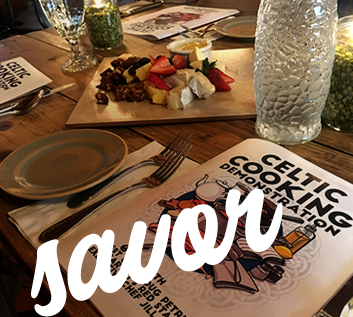 The ideas of great Celtic chefs like Gordon Ramsey and Darina Allen, combined with my McCarthy family traditions, have been allowed us to create a dynamic menu with lots of fresh ideas.